Lots of people just want to sing but may not feel comfortable enough or confident enough. Well, we have just the class for them! Whether your ambition is to get up and belt out your favorite showtime in front of a packed theatre, or just to be able to join in at your family sing song, our singing classes will help you achieve your goal! Singing classes have been the main stay of training at The National Performing Arts School for the last 22 years. We often recommend singing class as a complimentary class to our other classes, adding it to a students weekly time spent at the school. Many of the children and young people who attend our school take singing in conjunction with Musical Theatre, with Drama, with Ballet and with other types of Dance Class which we offer, such as Hip Hop, Jazz Dance and Contemporary. Rather, we teach children and young people to be confident and comfortable people with an interest for their whole lives in the Arts. Singing class has however led to fully fledged careers for many of our past pupils in the entertainment field. 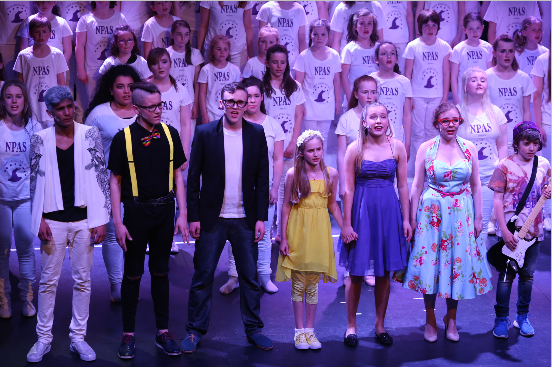 During our end of year shows at our school, when all classes are involved in our professionally staged performance at The Olympia Theatre, our singing classes provide the backing and wow factor for almost every musical piece within the show. Their place in the production is invaluable, and the sense of achievement they have at the end of the school year is truly wonderful to see. It is so rewarding at NPAS to watch a shy young person, who starts with us in September, become a confident performer standing on the stage or in their class and singing with an ease and happiness. Having had so many years of working in the Entertainment World the teaching staff at NPAS are well versed in advising and encouraging our students towards whatever direction they want their careers to take. In fact many of our teachers are themselves singers and they know the pitfalls and the best way to enter the world of singing and to remain their successfully. In conclusion for the moment, if you are taking class with us at NPAS, and you are thinking about an additional class, Singing classes at the school are a fun filled place where you will not only learn to be a better singer, but you will also make friends for life. 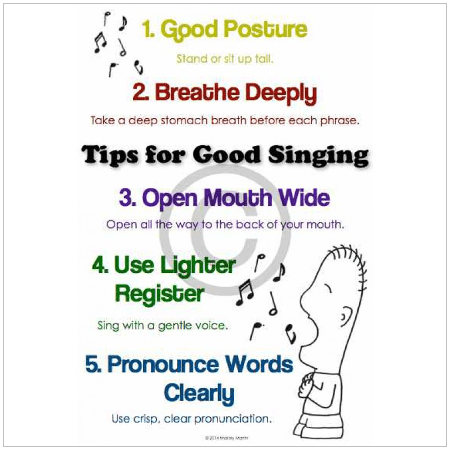 Here are some tips for singing which we work on and develop in class – everyone can benefit for these basic rules! We look forward to welcoming you to class with us, and keep singing! !